I think I've been missing out on something spectacular... 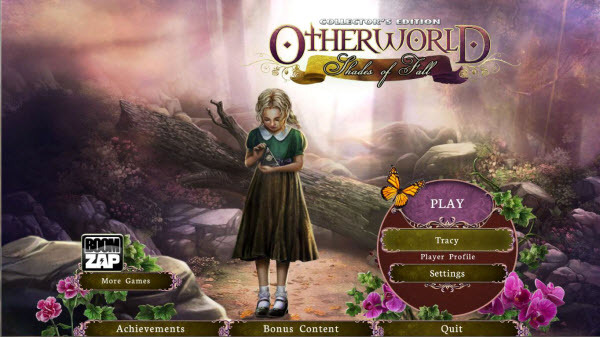 I just finished playing the latest Otherworld game, Otherworld: Shades of Fall, and was thoroughly entranced by the immersive graphics and amazing story. 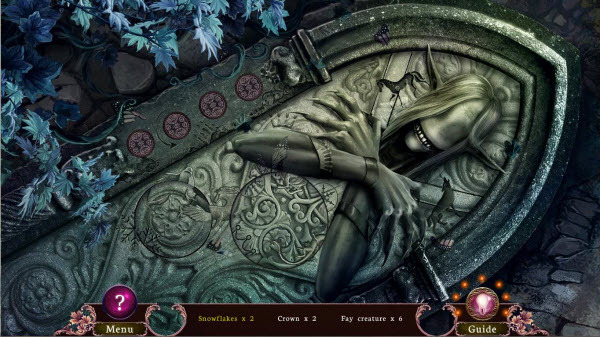 How have I never played any of the Otherworld games before? They are definitely my cup of tea. Dark and sinister fey, let loose upon the world, but only those with the sight can see them?! YES! Sign me up! It's like my favorite Holly Black series meets Pan's Labyrinth mashed together to create a scene so eerily beautiful, it sets the hairs on the back of my neck standing tall. Well guys, Otherworld Shades of Fall was definitely the latter. My game stopped in such a revealing moment, I couldn't help it. I screamed a heart wrenching "NO!" and raced to buy. That's how good Otherworld: Shades of Fall was. But, what makes it such a great game, you ask? Well besides a story that snagged my attention and shook it like a wet dog, the character graphics were simply stunning. As I said before, most of the fey characters seemed like they walked right off the set of Pan's Labyrinth, especially the main villain, the Shade. He strongly reminded me of the creature with the eyes in his hands who ran around crunching fairies and scaring the crap out of me. The voice acting was also superb, besides the one little grating sound of Fiona's voice, but thankfully, we don't have to listen to her for very long. It wasn't that it was bad voice acting. She just had a very cartoon character voice that seemed a little off the mark for this dark and creepy tale. Kind of like if Rainbow Brite were to walk into the movie The Shining and slap Jack on the back companionably as he was talking to ghosts at the hotel bar. The graphics were also stunning, drenched in that painted muted look. As if a bright and happy world were suddenly afflicted with a subtle moldy darkness, and it was just beginning to peel back the edges with rot. Just perfect for our journey into the Otherworld. When I first loaded Otherworld: Shades of Fall, I was immediately struck with a symphony of string instruments accompanied by a slow and sonorous plucking of the piano keys, a tone that follows you throughout the game and maintains that somber feeling of lonely exile. You can almost feel the fresh tendrils of cold seep into the scene as fall crunches under your feet, as the music does a fantastic job of dousing you with a chill you just can't shake. 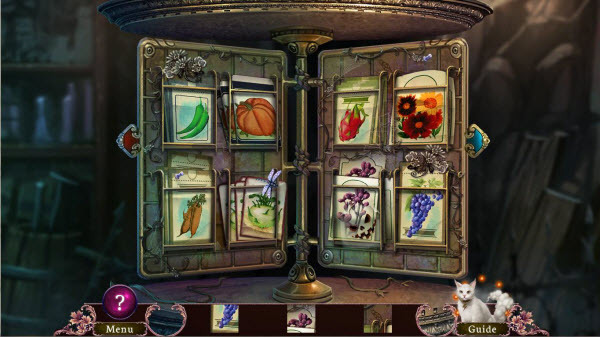 Hidden object games, were fair to challenging, with a lot of interactivity in terms of finding your objects. The scenes weren't too dark or crowded, but some of the scenes required a lot more work finding the objects than I was used to. 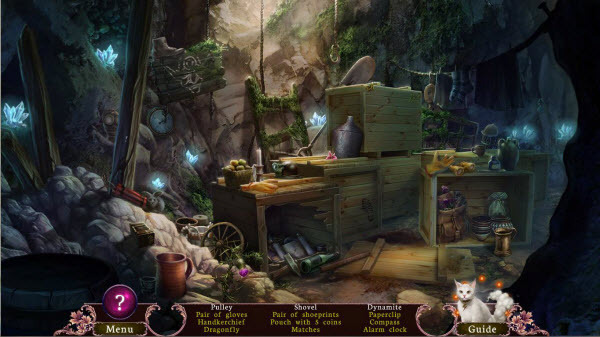 They were almost mini-games set in a hidden object scene, and I found them quite enjoyable after I got used to them. The mini-games themselves were extremely entertaining, and I found myself anticipating the next set, which I never, ever do. I usually hate the puzzles, tapping my toes furiously as I wait for the skip button to free me from this attempt to make me use my brain far more than I'm willing to when I play video games. 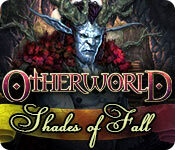 However, in Otherworld: Shades of Fall, the games were immersive and fun. Nothing too hard or frustrating, but fitting with the current surroundings. I could imagine that I would need to overcome this obstacle if I were really searching for Elder Fey. Hidden dragon collectibles are found throughout the game, and while it was satisfying when I found them, they really weren't too difficult to find in each scene, so the challenge was pretty low. 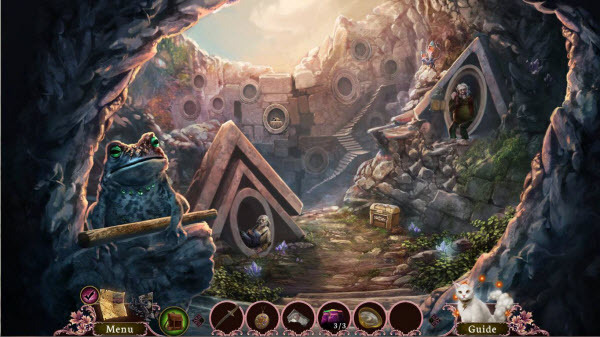 Overall though, Otherworld: Shades of Fall was a masterpiece of a hidden object adventure game. Its darling characters, evil and good, (who doesn't love a Storm Cat? ), its gorgeous graphics, and its can't-beat storyline is pleasant company and a great escape for my overburdened mind right now. So, if you're looking for something to help you slip the bonds of reality for a little while, gain the sight and travel to the Otherworld: Shades of Fall.